Americans are in debt, and a lot of it. The average American has $26,246 in non-mortgage debt, including $3,804 in credit card debt, according to May 2015 data from Experian, a credit reporting agency. Across the country, average credit card debt from city to city can vary over $2,500. Similar differences are found across other financial indicators, too — from spending and mortgages to consumer debt, such as student loans and car loans — demonstrating how credit and debt differ significantly in the U.S. But where exactly do Americans stand out in terms of their finances? NerdWallet looked at credit scores, mortgages and other data on debt and spending to identify the cities where people are in the best financial shape. Check out NerdWallet’s tools to help you pay off credit card debt and find the right cards to rebuild your credit. Expensive cities strain finances. 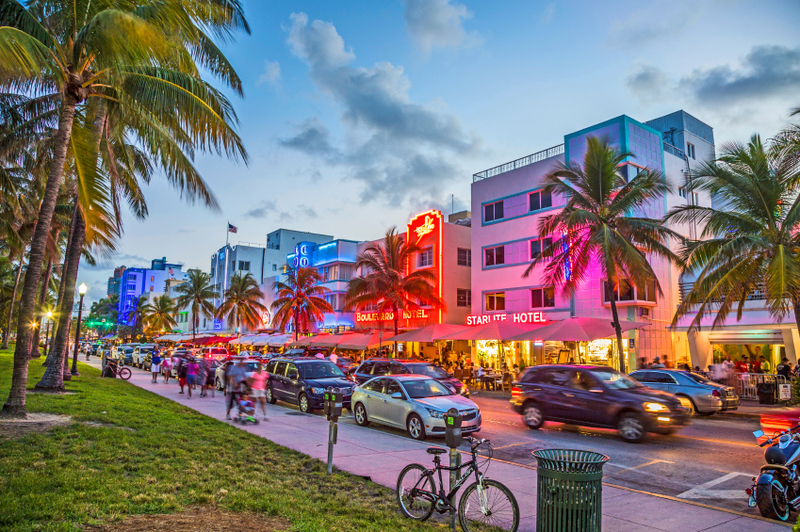 Americans living in places such as Miami and Los Angeles struggle to keep their debt and spending low, probably due to the higher cost of living. In Los Angeles, 61% of homeowners’ median household income goes toward their mortgage and other housing costs, making it more difficult to stay in good financial shape. Trouble in the South. “Unfortunately Southern cities tend to have lower [credit] scores than Northern cities, particularly the Midwest,” says Rod Griffin, Experian’s director of public education. In our study, cities in the South make up 65% of the bottom 20 because of low credit scores and higher levels of consumer debt as a percentage of income. Midwest keeps finances in check. Many Midwest cities took the top spots on our list — likely due to strong economies paired with lower costs of living. The median homeowner in Sioux City, Iowa, spends 28% of household income on a mortgage and other housing costs, and when compared with other Americans, is far less likely to have more than one loan on a home. Indeed, the purpose of a credit score is to assess the risk — not your financial health — that a creditor takes when loaning money to you. This means it’s important to take a holistic approach, looking at factors in addition to your credit score to gauge financial health. In our study, we considered the bigger picture because the proportion of your income that goes to your mortgage, housing costs and other debts has a big impact on your budget, savings and financial stress. But these factors have no direct impact on your credit score. The first step to build better credit is to find out where you stand. Check out NerdWallet’s advice on obtaining your free credit report. Scroll through the table below to see the data for all 265 cities in this study. Table notes: Cities in the same metropolitan statistical area have the same Experian data for average consumer debt, average credit card debt, average credit score and average number of credit cards because the data aren’t available for individual cities. The average consumer debt as a percentage of per capita income among cities in our study was 114%. To assess the financial health of residents in cities across the U.S., we looked at data in three categories: debt, financial management and spending. Debt. To understand the debt burden faced by residents in a metro area, we looked at May 2015 data from Experian on average consumer debt and average credit card debt. We also looked at 2013 city data from the U.S. Census Bureau’s American Community Survey on the percentage of homes with a second mortgage, home equity loan or both. Consumer debt was taken as a percentage of per capita income. The three debt variables are 50% of the score. Financial management. To assess the financial management skills of residents, we looked at Experian’s May 2015 data on the average number of credit cards and the average credit score in the metro area. These factors are 30% of the score. Spending. To assess spending habits in each place, we used 2013 data from the American Community Survey to find the percentage of household income spent on housing and related costs by homeowners. This is 20% of the score. Experian data are for metropolitan statistical areas, which include a number of cities, while other data are for individual cities. Top: Miami, Florida, image via iStock. 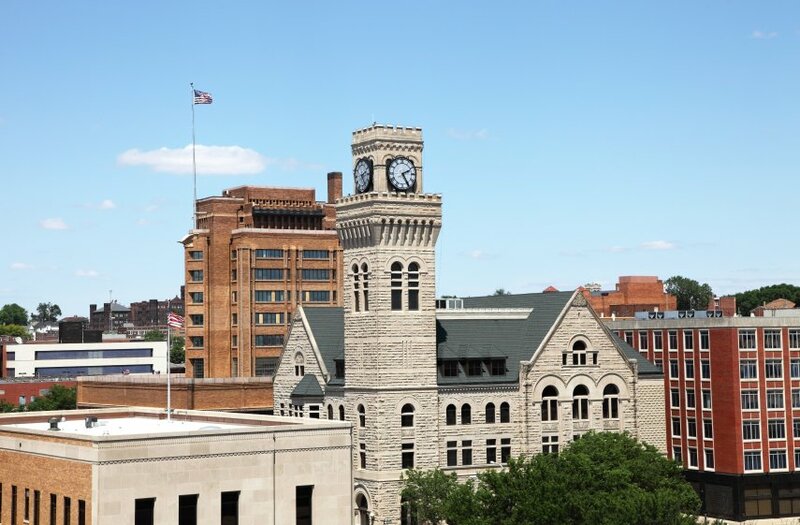 Below: Sioux City, Iowa, image via iStock.